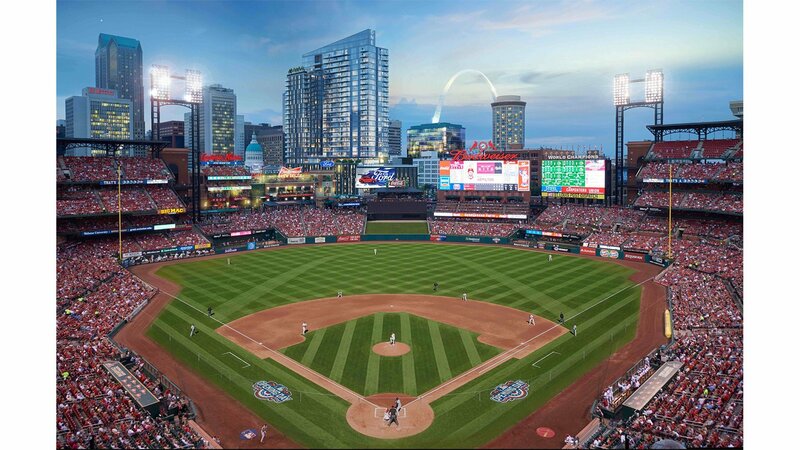 Hord Coplan Macht is leading the planning and design of Ballpark Village, an exciting multi-phase, mixed-use project in downtown St. Louis, Missouri adjacent to Busch Stadium, home of the St. Louis Cardinals Major League Baseball team. The project is being developed by The Cordish Companies. 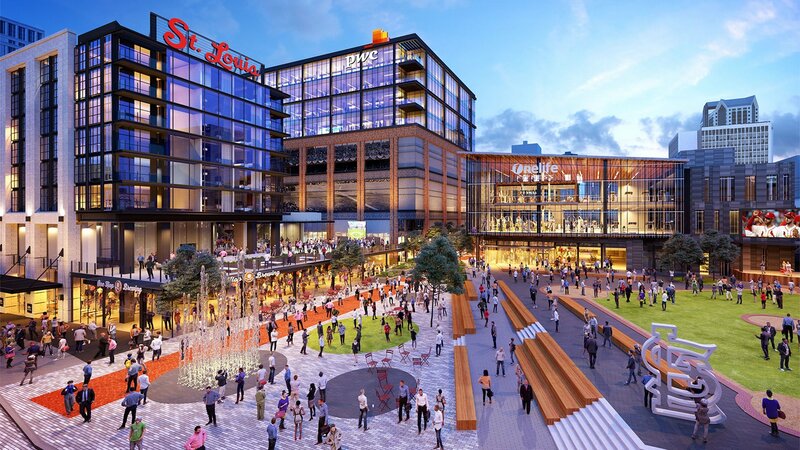 The masterplan is reimagining six city blocks of surface parking that sit atop the site of the previous stadium. As such, the planning is a leading example of the new trend of sports-oriented development taking root around the country. With little existing life in the quarter around the ballpark, the project is an exercise in whole cloth placemaking; revitalizing a multiblock void to create a new vibrant mixed-use live/work/play generative community within the urban fabric. In addition to the planning and landscape elements, there are three major architectural components that Hord Coplan Macht are designing as part of the development. The easternmost block is a 30-story high-rise residential mixed-use building directly adjacent to the ball park which contains 297 luxury apartments and 15,000 square feet of retail space. The westernmost block is a 10-story mixed-use building with 100,000 square feet of office space, a 200-KEY hotel, with retail and structured parking. The central and third building is a three-story jewel box pavilion with street-level restaurants, and office and fitness above. The central open space is created atop the hallowed ground of the historic infield of the original stadium and serves as a public plaza and hosts concerts and other community focused events. Featured here is the design of One Cardinal Way, the mixed-use residential high-rise. The tower is an iconic contemporary tower designed to stand in contrast to the more traditional red brick stadium. Its angular shape is chiseled to as to maximize views into the stadium. With the owner of the ball team as a partner in the development, there is a strong affiliation with the Cardinals brand, and the design of the tower, including the generous “gameday balconies”, the terrace overlooking the field, as well as the subtle use of Cardinals lore in the interior finishes and artwork create unique residential community which appeals to superfans and urbanites alike.